ePublishing Knowledge BaseePublishing Knowledge BaseePublishing Knowledge Base Creating Image Galleries, Videos, Podcasts, and Downloadable FilesHow do I change the thumbnails for photos, videos and files in the Media Manager? To upload new media, such as photos, videos, PDF files and other, to your Media Manager, access the Media Manager and follow the steps in this article. 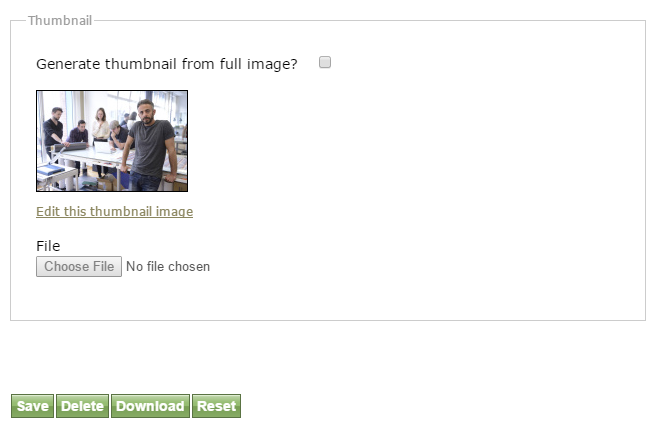 Option 1: Ask the system to regenerate the thumbnail for the image. 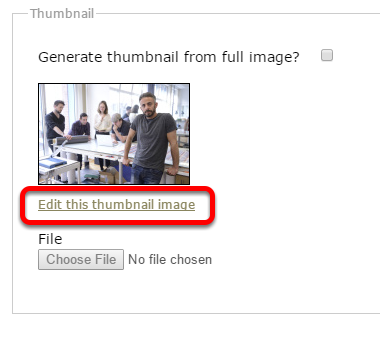 Open the image file, scroll down and click the box next to "Generate thumbnail from full image?" Click Save. This will ONLY work for image files. A thumbnail will appear after saving the file. The thumbnail dimensions are based on your system's settings. If you have questions about this, please talk with your Solutions Manager. 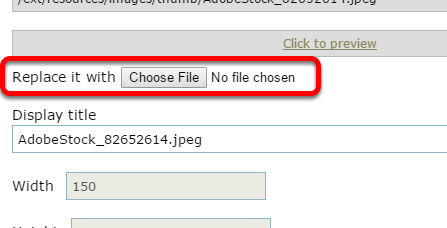 Option 2: Upload a thumbnail from your desktop or network drive using the Choose File button. Option 3: If a thumbnail already exists, but you want to make title, taxonomy, description changes, click on the "Edit this thumbnail" link. You may also replace the image after clicking on that link. Of course, be aware that if this thumbnail is associated with any other image, changing it here will change it everywhere. Prev: How do I add videos from YouTube or files from corporate servers to be easily used on my website? Next: How do I upload new media, such as photos, videos and files?